Sand is the most economical option out of the four however not really the best. It can work well in pools with play or sports bottoms or simply put pool's that do not have a steep slope. The amount of sand needed will vary by pool size. The larger the pool, the more sand you will need for the bottom. The sand used should be mason's quality and spread about 1"- 2" thick. Keep in mind, this type of floor material is much more likely to leave foot prints and impressions that you can still see even after the liner has been installed. The combination of sand and Portland cement is the next step up from using sand and merging the two materials will form a hard floor free of those pesky sand footprints. Portland cement is available from your local hardware store. This is one of the more common floor bottom materials used by our DIY customers. The other commonly used mixture is used by both DIY and even some of our pro swimming pool installers. Vermiculite & Portland cement can and should be used anytime you're concerned about ground water issues. This could be anything from having a high water table to water seepage. Vermiculite can be purchased in 4 cubic foot (average weight 20 lbs - 30 lbs) that must be mixed with Portland cement or in 42 lbs bags that is already mixed with Portland cement. The top choice among builders though is Pre-Mix, also commonly referred to as either Pool Krete or Pool Crete. 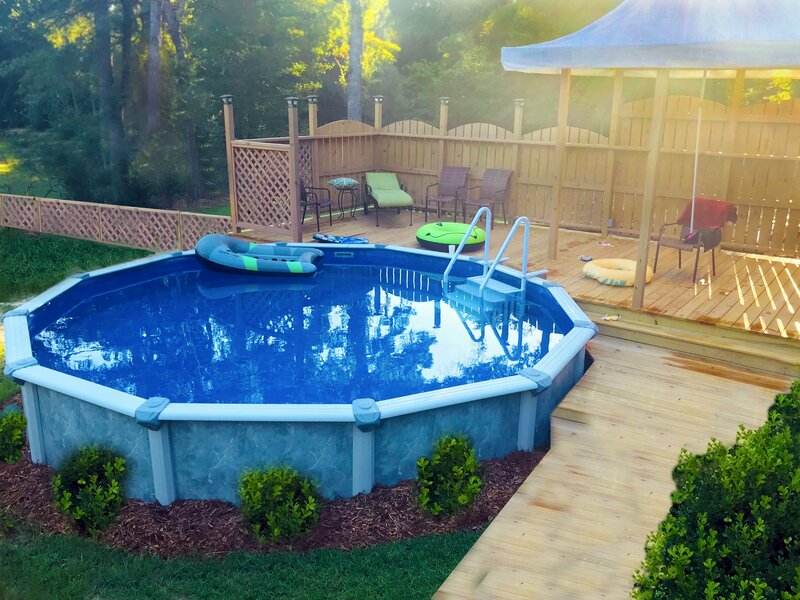 Pool-Krete® Premix is a quality blend of expanded vermiculite, portland cement, and admixtures designed to be mixed with water and troweled to form a long-lasting hard bottom for in-ground vinyl-lined swimming pools and when used properly, prolong the life of the vinyl liner. This pre-mix is a porous but rigid liner base which offers numerous benefits to both the pool installer and the pool owner. For starters, when properly installed this mixture will outlast packed sand or sand/cement bottoms due to its high adhesion characteristics which prevents wash-outs and liner abuse due to abrasions. The actual amount of material needed will vary depending on the dig and thickness of the swimming pool base used. This table can be used as a guide. It is based on a 2" thick swimming pool base. The Portland/vermiculite or Pre-mix should be used for high water table areas and hard freeze areas to ensure many happy swims in the future. 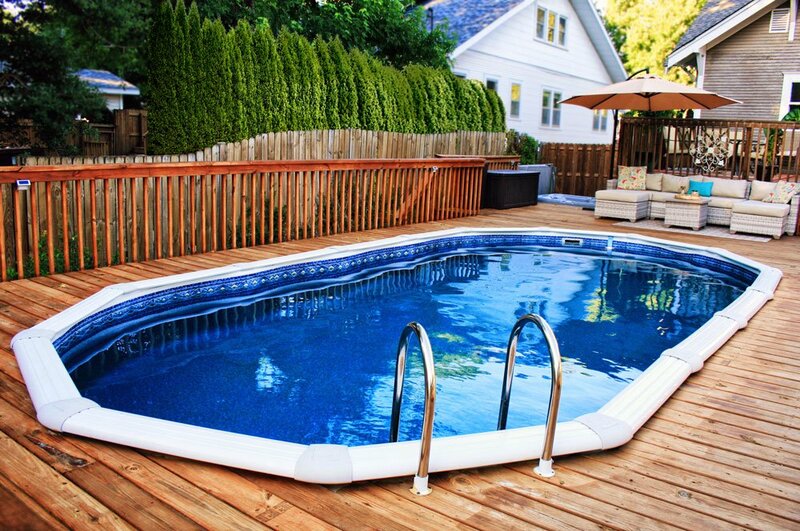 in our Inground Pool Installation guide here!